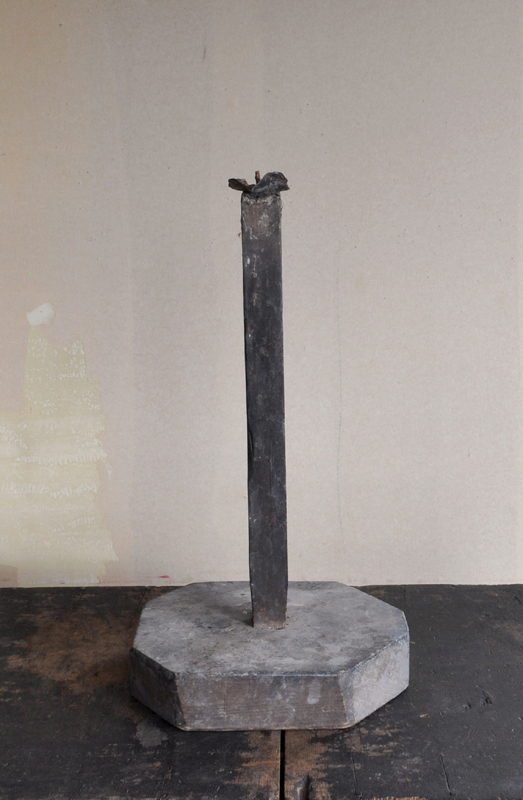 SHOKUDAI (Dealer: hotoke) – Wabi wooden ‘shokudai’ candlestand with sabi iron tip-saucer. Simplest, calm, and dignified, like a straightness of Japanese sword. Edo-Meiji period, 19th century, Japan.